It's that sad (yet very fun) time of year! Ski and ride season is coming to a soft close. Keystone and Copper resorts' winter offerings will shut down this Sunday, April 16, with Breckenridge Mountain Resort to finish up the following Sunday, April 23. Arapahoe Basin Ski Area, however, still has many days of spring skiing and "beach" parties ahead. The good news is that sunny and partly sunny weather is predicted through the end of this week and into the next. Rain and snow will likely be in the forecast for Breck's closing weekend, though 10-day weather predictions this far out are not set in stone. It's best to check back for a more accurate report. End-of-season celebrations and live music performances are planned this week (and next) accordingly. Here are my top picks. Copper Mountain Resort will finish up its USASA National Championships competition on Thursday, April 13. Then there's a boatload of fun planned for the weekend. Red Bull Slopesoakers is Saturday, April 15; revelers should expect a pond skim and a slope-style rail jam. The ever-popular Sunsation, an end-of-season springtime celebration, will feature Mix Master Mike of the Beastie Boys on Saturday, April 15, and Robert Randolph and the Family Band on Sunday, April 16. I have seriously fond memories of Sunsation from a number of years back when Michael Franti was a headliner. Locals and visitors alike come out to enjoy sunshine, free music and beer in plastic cups. It's a blast, and everyone goes! Egg hunts are plentiful around Summit County this weekend. Families definitely have their pick. Copper Mountain Resort is hosting what organizers call the World's Largest Easter Egg Hunt, in which more than 65,000 eggs are spread over 2,500 acres. This hunt is for kids and adults of all ages, including an age-3-and-younger hunt in Center Village and an on-mountain hunt for older kids and adults. This event is planned Sunday, April 16, from 9 a.m. to 4 p.m. Downtown Frisco's Main Street will host its own egg hunt on Sunday from 11 a.m. to 1 p.m. About 5,000 eggs will be hidden for children up to age 8. Breckenridge Mountain Resort's Easter egg hunt starts a 9 a.m. on Sunday. Festivities will last until all the eggs are gone. Keystone's Closing Day will also feature a Kidtopia Easter egg hunt and celebration from 9:30 a.m. to 3 p.m.
A-Basin will host its own Beach'n Egg Hunt from 10:30 a.m. to 12 p.m. Everyone is invited to participate in an on-mountain and base-area hunt featuring 5,000 eggs. Live music this week includes The Mighty Pines at The Historic Brown in Breckenridge on Thursday, April 13; Kung Fu with Frisco Funk Collective at the Barkley Ballroom in Frisco, also on Thursday; the Hashtones at the Brown on Friday, April 14; John Truscelli Band at Snake River Saloon in Keystone, also on Friday; Eminence Ensemble at the Barkley Ballroom on Saturday, April 15; El Paso Lasso at Motherloaded Tavern in Breck, also on Saturday; and open mic night at The Bakers' Brewery in Silverthorne on Sunday. For more nightlife options this week, click here. 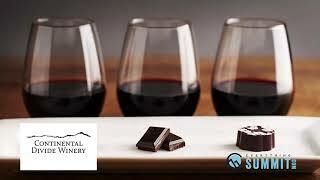 Other activities going on this week include Vertical Runner Breckenridge's Friday Run Club (stop into the shop for more details), ghost-themed and historic tours put on by Breckenridge Tours and a daily wine tasting at Continental Divide Winery in Breckenridge.